Chances are, you've probably used a GPS tracker while on a road trip. Real time GPS uses satellite technology to show you exactly where you are in real time – there is no lag in the update of your location. Tractive uses this same type of technology to help pet owners track lost companion animals, and I'll explain the advantages and disadvantages of their latest product in this Tractive GPS Tracker Review. Dog GPS trackers aren't just for hunting gun dogs. 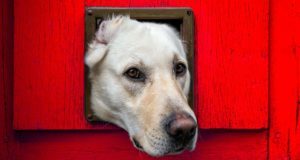 They can be used to keep an eye on dogs that don't always stay within the boundaries of their yard. Trackers like this offer pet owners the peace of mind in knowing that they will be able to find their dog within minutes of him leaving the yard. Some GPS devices have a brief lag time before the actual location of your dog is updated. Think about how quickly our dog can run. Think about how quickly he can change directions. If your GPS locator has a lag time, Fido may be headed in one direction while you're running the opposite way. You may continue moving in the wrong direction for several minutes, which could make for a very long cat-and-mouse game before you are finally able to pinpoint his location. 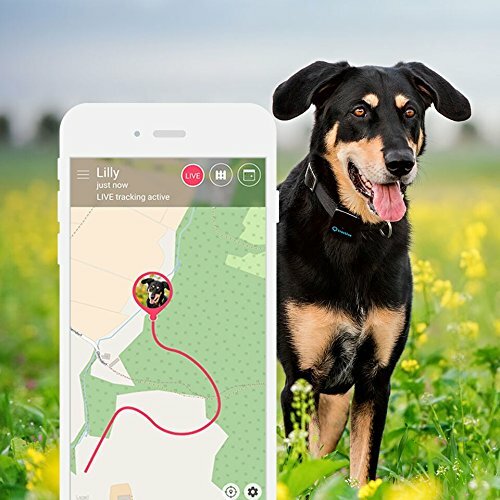 Real time GPS uses satellite signals to track your pet continuously in real time without a lag. This means you'll be able to catch up to your pet within minutes of him leaving the boundaries of your yard. In this Tractive GPS Tracker review I will explain the many benefits of all types of dog GPS trackers and the specific features of the Tractive device. I'll let you know if they are as reliable as they seem. Think you're not tech savvy enough to work one of these devices? I'll also explain whether or not they are user friendly and if they are worth the cost. First things first, this is a very easy device to set up. As you can see in my Tractive GPS Tracker review video above, it's very simple to attach the Tractive 3G to your dog's collar. It comes with two connecting brackets – one for thin collars (like most traditional nylon collars) and one for thicker collars (like leather collars). You simply clip the tracker to your dog's collar and download the app. I know, it seems like a device clipped to the collar would fall off easily. However, as I demonstrate in my video guide, the Tractive 3G is very secure when put correctly on the collar. There is just one simple button on the device itself, which allows you to turn it on and off. It will beep and blink green when it's on and beep and blink red when it shuts off. The rechargeable battery lasts 2-5 depending on how many hours it is on each day. After attaching the device, you download the Tractive app, which is free for Android and iOS devices. You can also access the tracker's information on a web browser. No matter how you access it, Tractive’s GPS app allows you to see exactly where your dog is in real time every second of the day. You can even create a customized “Safety Zone,” and you’ll be notified the instant your dog crosses the invisible boundary. The Tractive 3G makes it virtually impossible for my dogs to get lost. Our Beagle, Molly, will try to leave our yard sometimes when she picks up an interesting scent. Although she isn't trained to hunt, she is still a hunting breed. It's in her nature to chase the squirrels and rabbits from our yard. Thankfully, with this tracker I don't need to worry about her running past her boundary line. If she happens to leave the yard, I get a notification on my cell phone immediately and I can still see exactly where she is and retrieve her quickly. In my Tractive GPS Tracker review video, you'll see what is included if you decide to buy this product. You'll get the 3G tracker, a charger, 2 clips to connect it to your dog’s collar and an instruction manual. The first thing you’ll notice when you take it out of the box is the charger. It’s a bit different than the traditional plug-in chargers that most of us are use to, as it actually clips onto the device (you can see this in the photo on the left). As you can see above (and in my Tractive GPS Tracker review), this device is very small. It's measures 2″ X 1.6″ X .6″ and weighs only 1.23 ounces. Medium and large dogs won't even notice that it's on their collar. However, small breeds might need time to get used to the device, and it is not recommended for pets weighing less than 10 pounds. It's also waterproof, so no worries about rain affecting the devices functionality. Tractive devices work in more than 80 countries, but the Tractive 3G does not work in Europe. If you live or frequently travel to countries outside the U.S., it's best to check the company's website to make sure the device will work where you need it to. My favorite thing about the Tractive 3G? Its versatility! You can take your dog ANYWHERE with cell coverage, and you’ll still be able to monitor his exact location. All you have to do is setup a new Safety Zone for the location you’re at and you’ll be notified when your Fido wanders too far away. This is a wonderful tool to bring along while traveling, camping or hiking with your dog. Tractive’s GPS app is quick to install and very user friendly. There are buttons that allow you to find your dog, turn on a light on the tracker if you’re looking for him in the dark and see where your dog has been over the last 24 hour period. You can even monitor multiple dogs with the GPS app – you’ll just need to purchase additional trackers for each pooch. I also liked that the Tractive 3G has a built-in battery indicator that alerts you when the battery gets low. I don't have to worry about Molly getting lost because the battery in her tracker has run down. So, while I don't have any complaints about the functionality of the device or the Tractive app, it's not without its faults. First, the device only comes with two clips, and they won't fit a collar thicker than about 1/4″. If your dog has a thick leather collar or a custom rope collar, you won't be able to fit the tracker on it. So with that in mind, you may need to buy your pet a standard dog collar if he has a unique collar. It’s no big deal to switch dog collars, especially considering the benefits you get from Tractive GPS Pet Tracker. While buying a new collar isn't such a big deal, it is a little annoying. However, I do like the versatility of the clips, as you could also attach them to a harness or use them to track other pets. The other drawback of this GPS tracker is the price, but let me just start by saying that for the peace of mind that you get and the instant ability to know exactly where your dog is at any given moment, the price is completely worth it in my opinion. 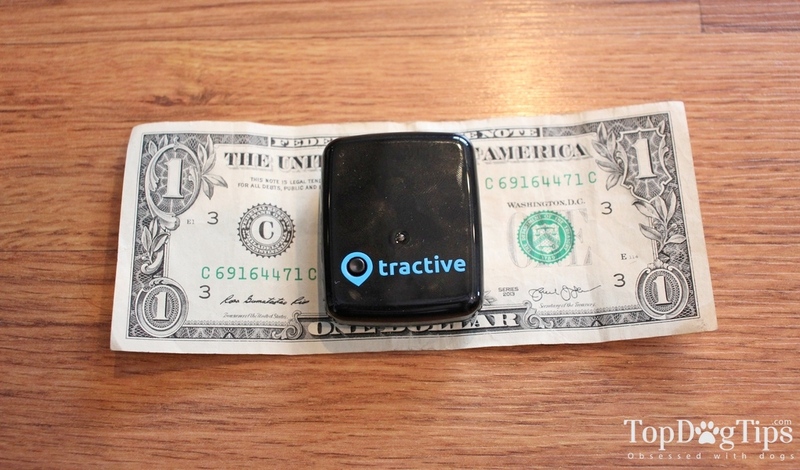 In my Tractive GPS Tracker review I let you know that the Tractive 3G is currently on sale on Amazon for $66. 48. As I explain in my Tractive GPS Tracker review video, these devices run on a cellular network, so you need to pay a monthly subscription fee – just like you do with your cell phone. Service plans start as low as $5/month, but that's only for the basic plan. This package includes the two features I noted above as well as worldwide coverage, use on multiple smartphones, unlimited location history, export location history (gpx & kml file), access through multiple accounts and premium customer service.